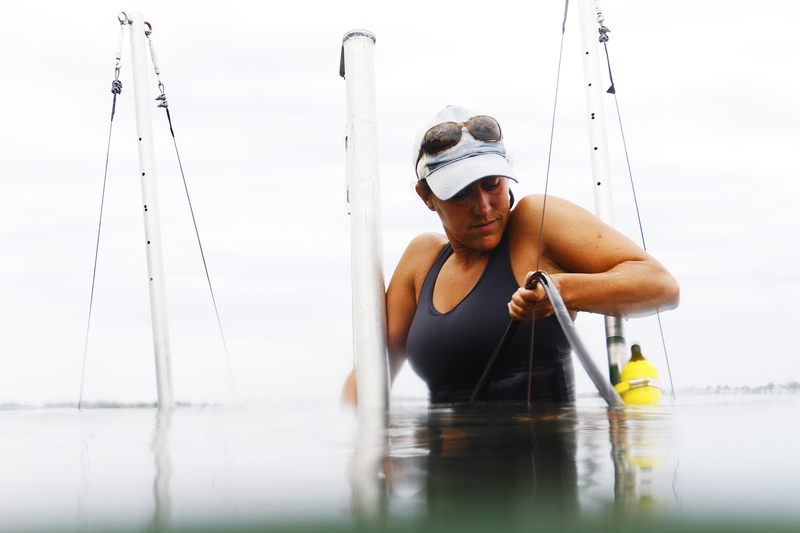 Carter Smith, a PhD candidate at the UNC Institute of Marine Sciences, uses underwater sonar to count fish in low-visibility environments – a good indicator for the overall health of a marsh ecosystem. 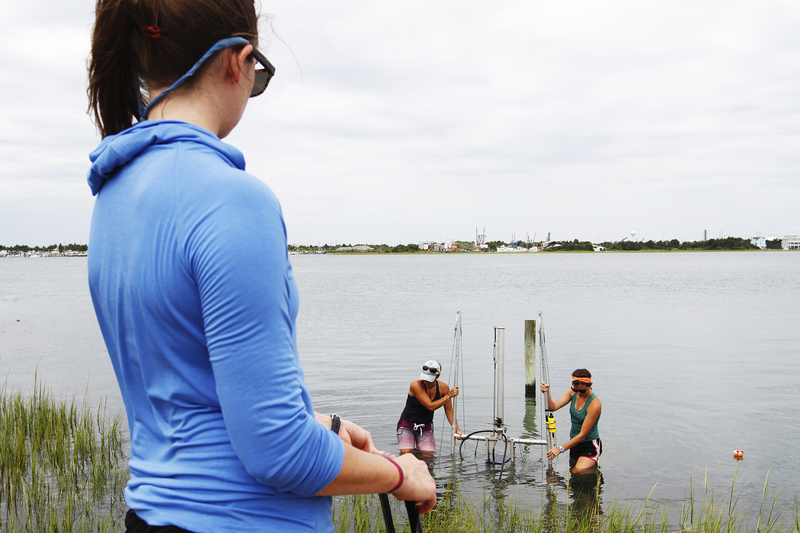 On an overcast day in late July, a team of graduate students from the UNC Institute of Marine Sciences moves their fish-finding rig into position in the marsh near the Duke Marine Lab in Beaufort, North Carolina. 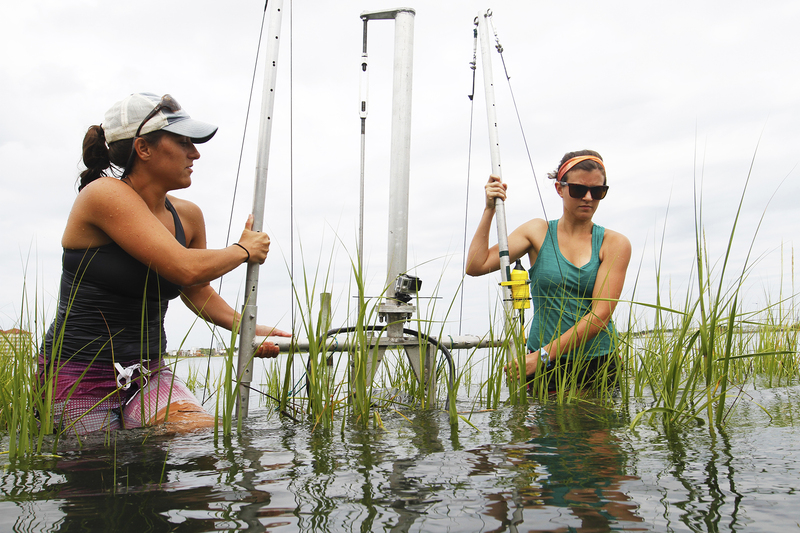 Carter Smith, Avery Paxton, and Becca Gaesser utilize a Dual-frequency Identification Sonar (DIDSON) to better understand how fish use different types of shorelines, ranging from human-built walls to natural marsh shorelines. 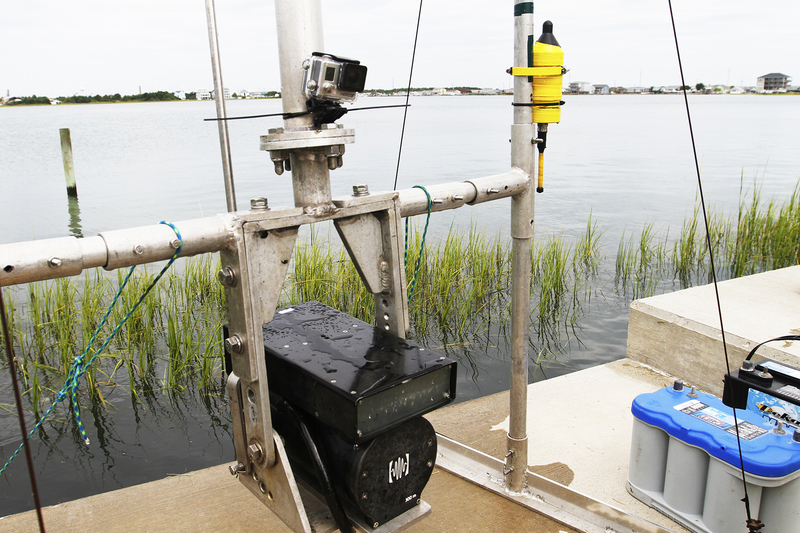 The metal rig allows the DIDSON (an acoustic camera) to be suspended in the water. The battery pack powers the DIDSON, while a mounted GoPro camera captures the complete lack of visibility in the water. 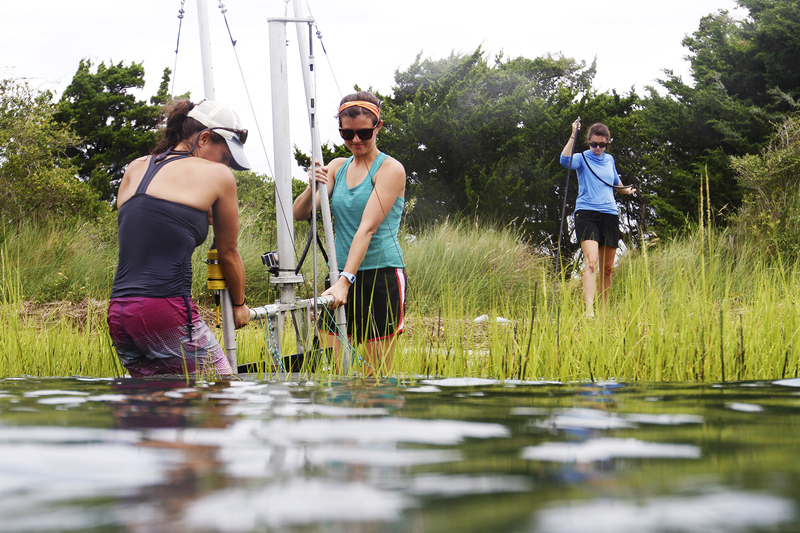 The yellow hydrophone records the varied soundscape of the marsh. “Some fish and crustaceans make really unique sounds,” Smith says. “Snapping shrimp make a noise like someone snapping their fingers.” Capturing those sounds is another way to measure the amount of diversity and activity in the marsh. 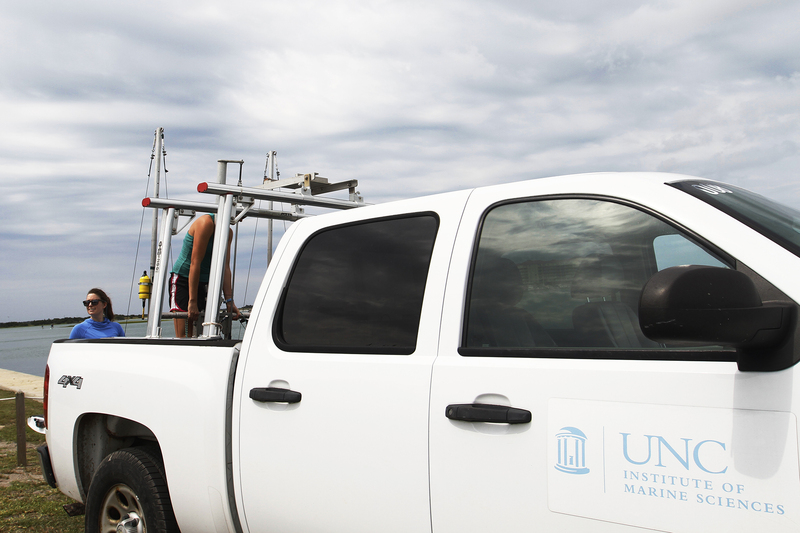 The team uses a truck to transport the rig and all of their equipment to the next sampling site. 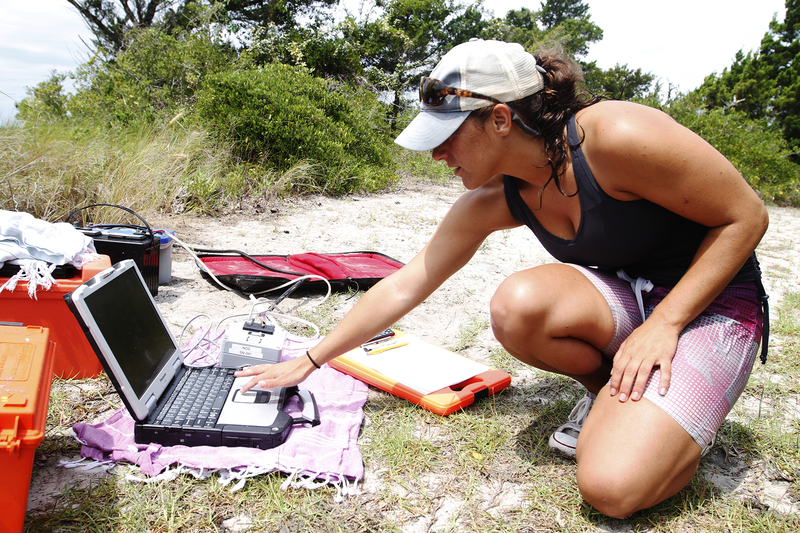 They will sample three different sites along the shoreline during the day and at night. Like a well-oiled machine, Gaesser, Paxton, and Smith efficiently unload their gear from the truck and begin setting up for their second sample site. 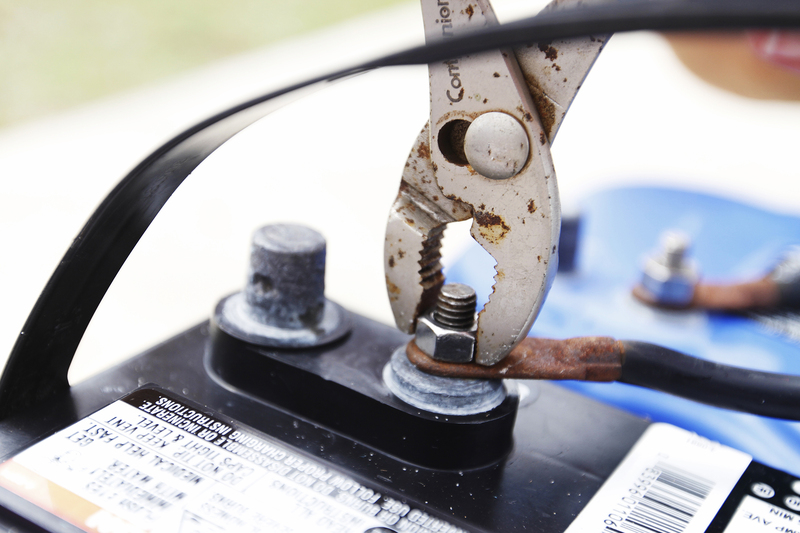 Gaesser uses a wrench to secure the connection between the battery pack and the DIDSON. Smith points out the individual fish captured by the DIDSON. 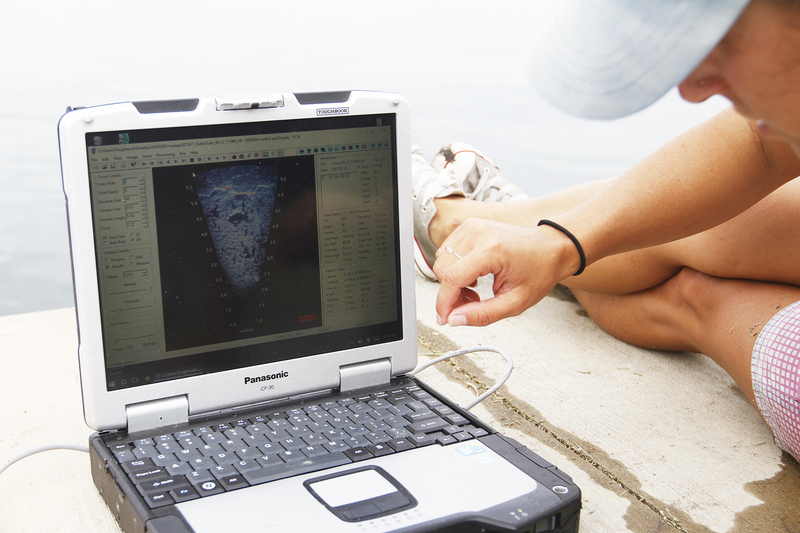 Back in the office, she will process all the video footage using a specialized software to count, measure, and quantify the behavior of all the recorded fish. 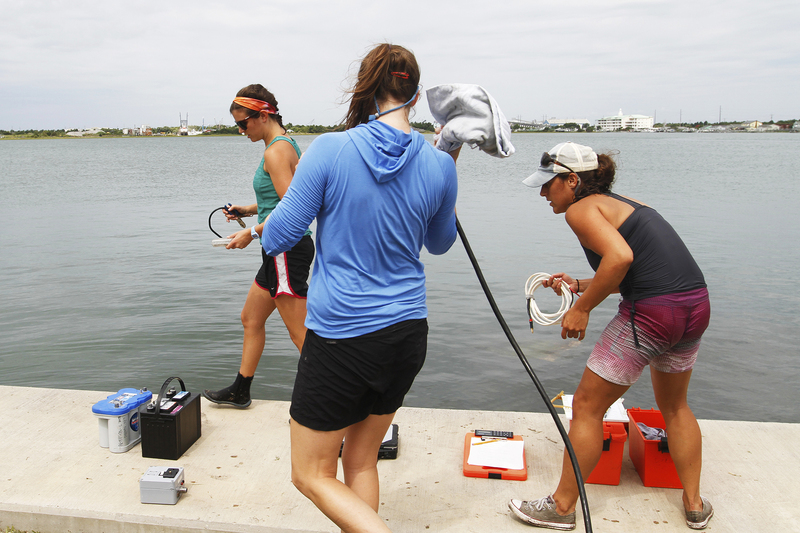 Smith and Gaesser move the rig into the third sampling location, while Paxton maneuvers the cable connecting the DIDSON to the battery pack. 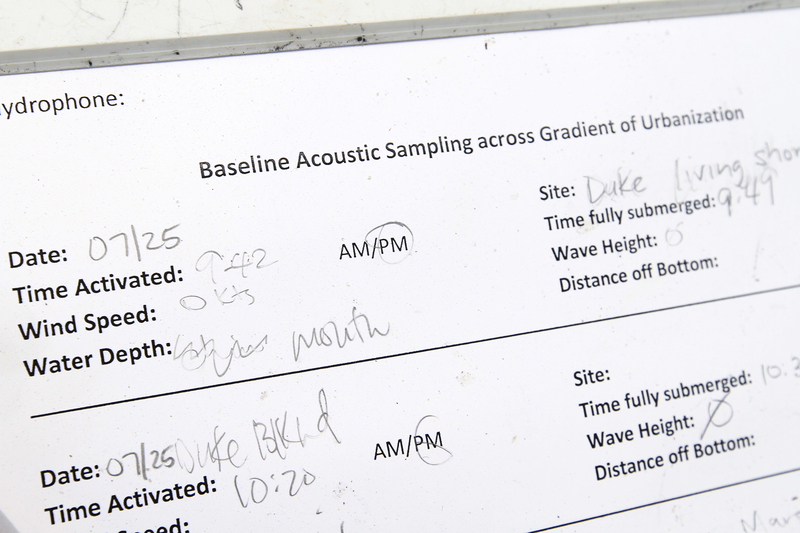 While Smith is in the water, Gaesser notes the location, depth, and other variables of each sampling site. Smith reviews the images captured by the DIDSON.